We use the PureVax Rabies vaccine for the safety of our patients. 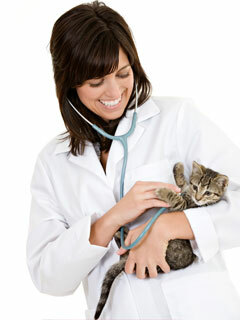 This vaccine is made especially for cats in order to avoid injection site sarcomas. Surgeries using an innovative surgical laser. Why?- Less pain, Less bleeding, Less swelling! What does this mean for my pet?- Reduced risk of infections, Precision removal of unhealthy tissue, and a Quicker return to normal activities. Office visit required first for all surgeries. Ultrasonic teeth cleaning and some tooth extractions. Office visit required. Limited Grooming services as medically necessary: nail trimming, comb outs, mat shave outs, and the "Lion Trim". infections, arthritis, cuts & bites, tissue trauma, sprains, strains & fractures, allergy inflammations. lick granulomas, hip dysplasia, tendonitis, urinary tract disease.